You’ve probably seen Olly Moss’s movie poster project, part of his “make something cool every day” challenge. Spacesick has responded with a series of faux-vintage novelizations of modern movies. 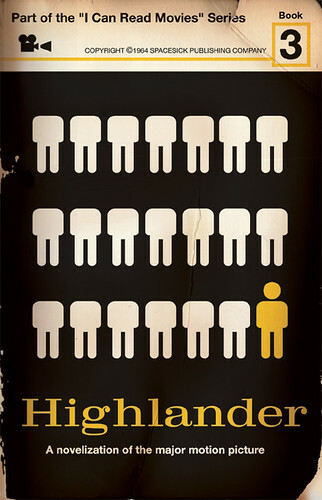 The Highlander cover is hilarious! 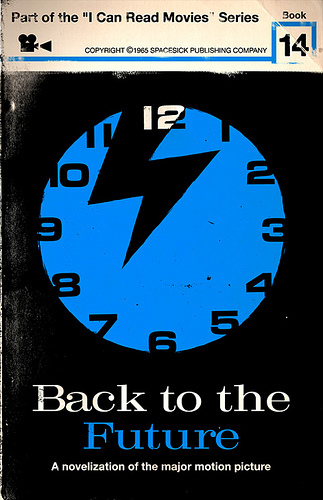 Another nice one is Spacesick’s Shaun of the Dead cover, a Saul Bass homage.